rocky's bru: "Not a bad boys club"
THIS weekend, Mutalib MD, the chief editor of Sabahkini, a news portal based in Kota Kinabalu, Sabah, will be in Kuala Lumpur but not to sort out the lawsuit filed against him recently which has made news in the mainstream media. Mutalib will be here to meet some 300 bloggers for the first Malaysia-Asean Bloggers Forum. He will be in good company, quips Tony Yew, secretary of the Blog House Malaysia, the new NGO putting together the forum. "There will be quite a number of us there who have been prosecuted or persecuted in one way or another for their blogging." 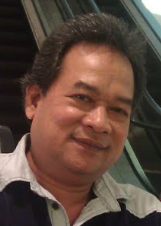 Nak experts in Mandarin and all APEK mother tongues/dialects in Malaysia, just include us in.. Some APEKs even expressed their amazements "as to how we are able speak fluent Bahasa Malaysia!!" Get the picture? in related and similar event, a seminar will be held with theme & title of 'managing finances responsibly'. nak komen sikit tapi luar tajuk. Wanita MCA vice-chairman Senator Heng Seai Kie said if the Chinese community flatly refused to allow MCA to represent them, the party would have no choice but to review its position in the national political stream. Wanita MCA secretary-general Chew Lee Giok said if MCA was unable to effectively voice out the views of the Chinese, the party must be bold to make a stand on whether it would be suitable for its representatives to continue to hold government positions. MCA seolah olah sudah tau result for next GE. Apa kata kalau UMNO dah tak perform, they should reconsider their position in the government? Then, are those from Pas nor PKR at their best to take power?